This renovation of the 1,200 s.f. residential level of a two story mixed-use building is located on Chung King Road, a walk-street in the gallery district of Chinatown, Los Angeles. The project addresses the need for outdoor living space in a dense urban environment through the introduction of a courtyard which serves as an entry court and formal dining room. The glass doors where the living room meets the courtyard open in their entirety to both cool the apartment interior and provide a continuous indoor-outdoor experience. 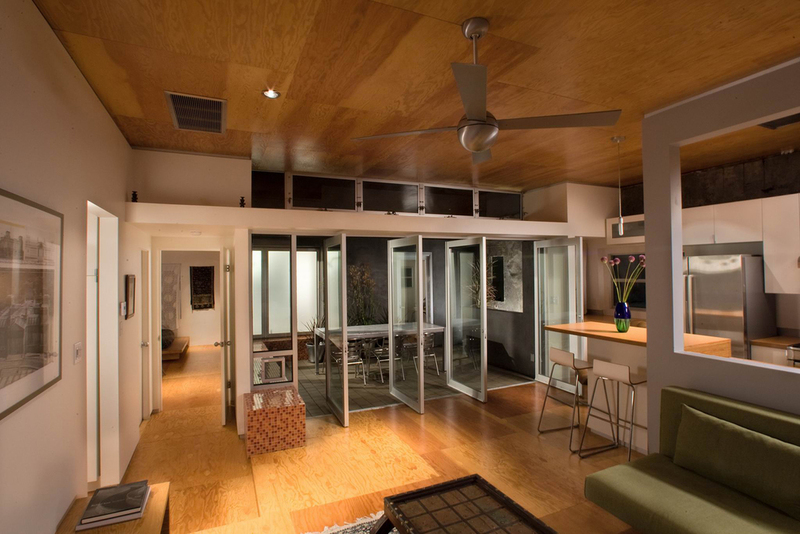 The apartment is designed to stay cool without the use of air conditioning by taking advantage of the natural convection current which occurs as warm air rises from the street, up the stairs, and out through the courtyard. All of the interior rooms facing the courtyard are designed to encourage cross-ventilation, such that the convection current rising through the courtyard will draw warm air up and out of the apartment interior. A view of the living room looking back out towards the courtyard. 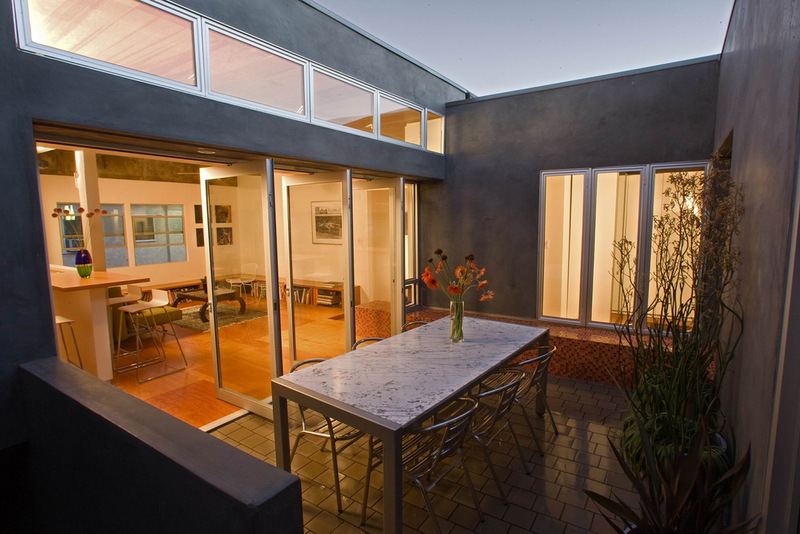 The living room doors can be configured to maximize the indoor-outdoor experience with the dining room, as seen here at dusk. 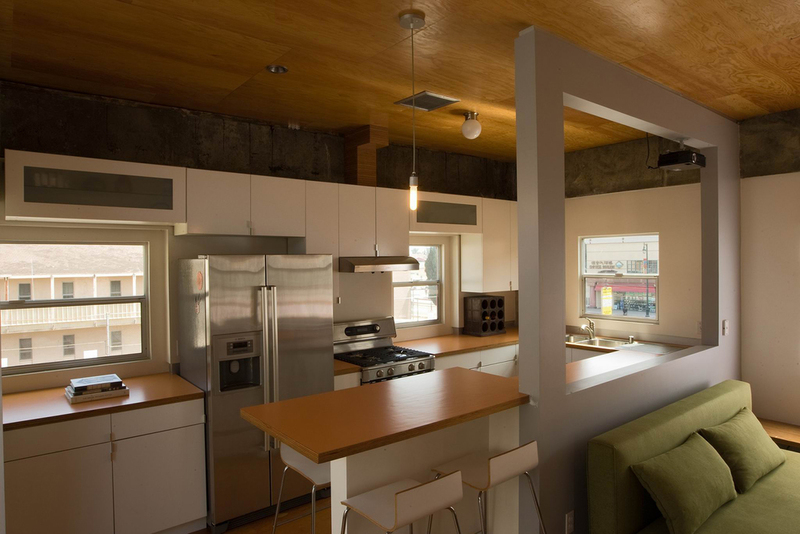 The kitchen, designed for maximum functionality while maintaining total openness towards the living room. The master bedroom is designed to take full advantage of the courtyard, in terms of light, air and experience. The rear balcony provides additional garden space as well as spectacular views of the downtown skyline. The master bath takes maximum advantage of the private outdoor courtyard to provide an indoor-outdoor bathing experience.